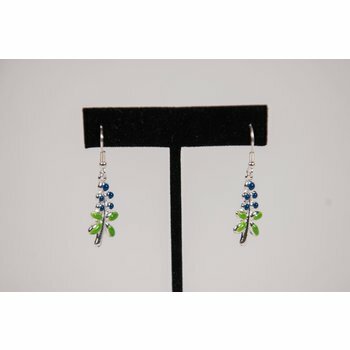 Understated and sweet, stainless steel and enamel bluebonnet earrings are attractive at any age. 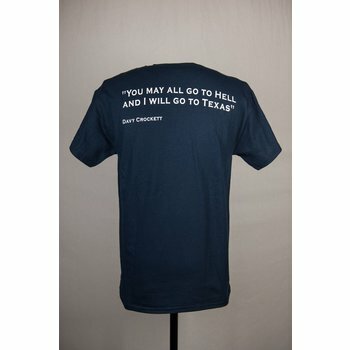 This navy cotton tshirt features Davy Crockett's famous quote "You may all go to hell and I will go to Texas." on the back. 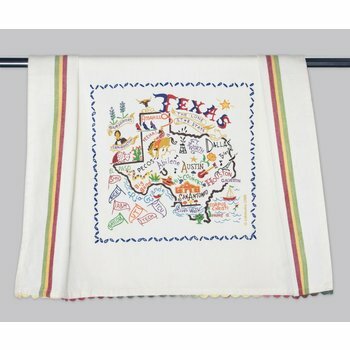 The front left chest features "Texas The Lone Star State." Runs true to size in a traditional cut. 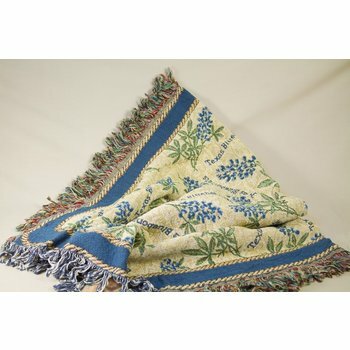 Gorgeous cotton blubonnet throw blanket made here in the USA. 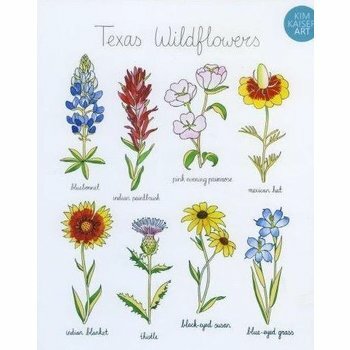 52"x34"
Ceramic trivet with felt backing of painted wildflowers, reads "Texas Wildflowers." 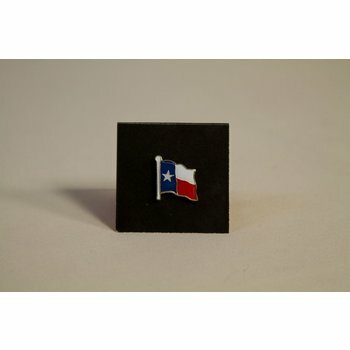 Show your Lone Star State spirit with this enamel Texas flag lapel pin. 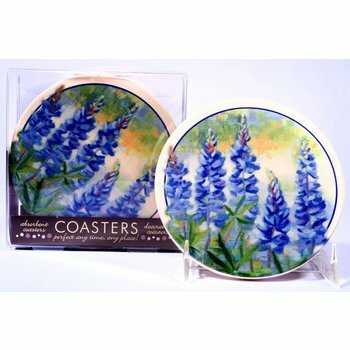 Ceramic coaster in the shape of the Great State of Texas, and painted with the Texas Flag. Price is per piece. 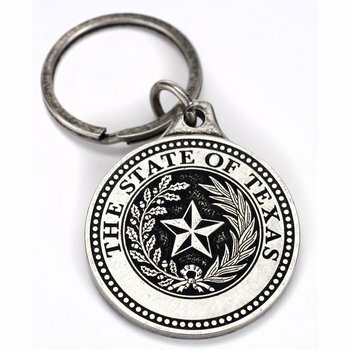 Keychain with the State of Texas Seal engraved on the face. 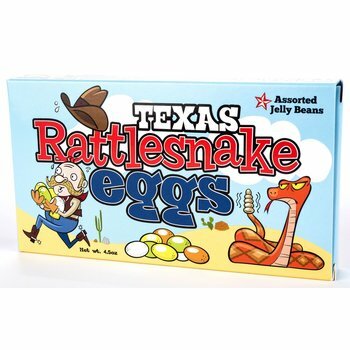 Rattlesnake Eggs - actually assorted jelly beans - in a souvenir 4.5 oz box with information on the Texas Diamondback Rattlesnake on the back of the box. 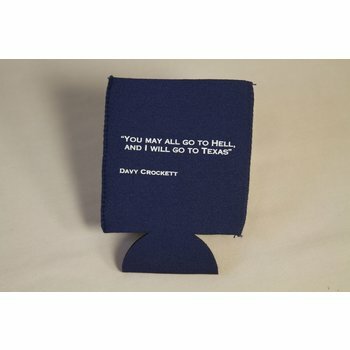 Navy neoprene drink koozie with Davy Crockett quote "You may all go to Hell and I will goto Texas." 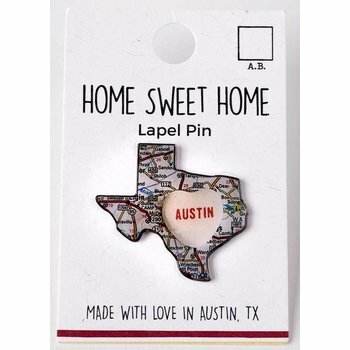 Austin, Texas is a "sweet" town! 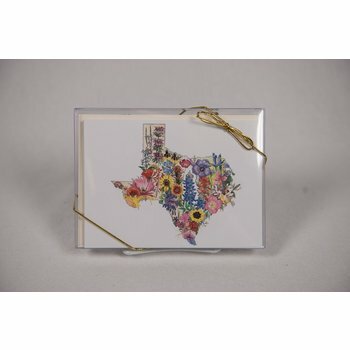 Produced by local designers at Austin Blanks, we are proud to carry this little slice of Texas - you can wear it proudly on your person! 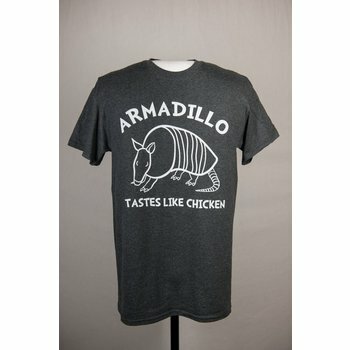 This soft, charcoal grey cotton tshirt is a fun way to celebrate Texas' quirkiest critter. Anvil 50-50 soft spun shirt (50% cotton, 50% poly) has a traditional cut. 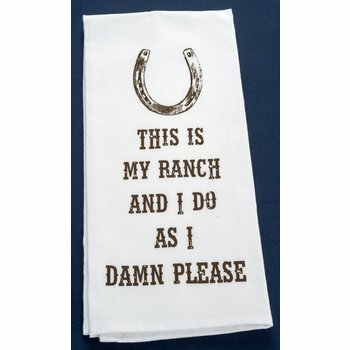 This design is silk screened and framed with a hand embroidered border on a 100% cotton dish towel. 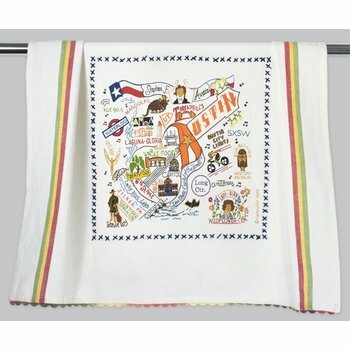 Three stripes down both sides and hand dyed rick-rack at the top and bottom add a charming vintage touch. Machine wash and dry. 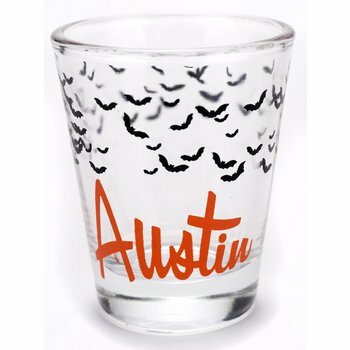 Austin Bats! 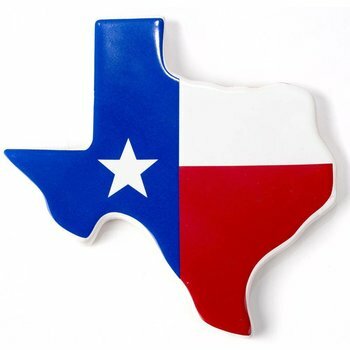 On a Shot Glass! 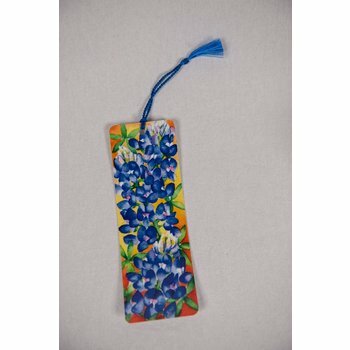 Laminated bluebonnet bookmark with blue tassle. 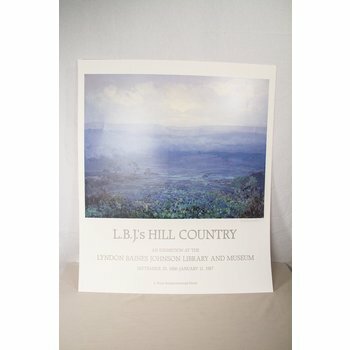 Make reading beautiful! 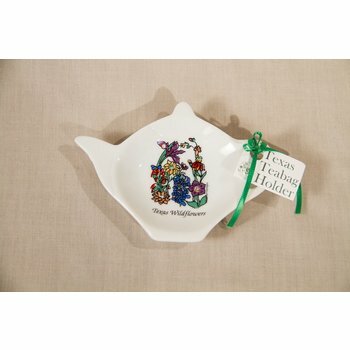 Ceramic tea bag holder of colorful Texas wildflowers, reads "Texas Wildflowers." 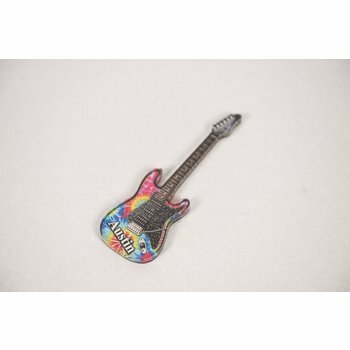 Tye die acrylic magnet in the shape of a guitar with text that reads "Austin". 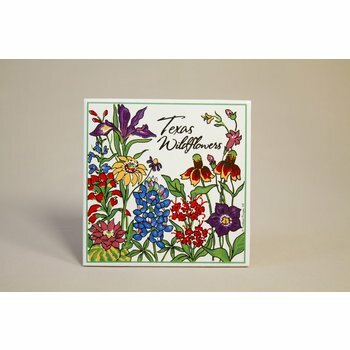 Box of eight notecards with envelopes featuring the beautiful watercolors of David Busch. 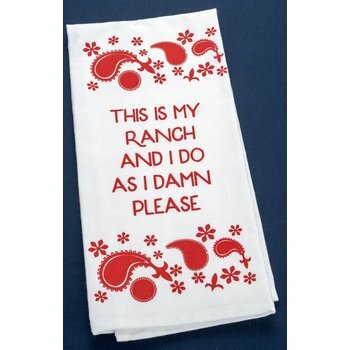 Exclusive to the LBJ Presidential Library - this tea or guest towel features a quote from a pillow given to LBJ and Lady Bird on a Ranch Pillow.